It’s time to change gears, as we approach the service road leading us to the end of the “India Road Safety Week,” We’re hoping this year we make a bigger echo impact than the last one, and each year the results being hopeful and looking better. All the efforts put in to celebrate and bring awareness at a national level is really a big deal. A lot of work and planning goes in each year to ensure its success. Maybe what we fall short on is the zest, the follow up, the spirit, the drive and hope. Unfortunately it’s celebrated with such pomp and noise, but dies out at the same speed it’s led in because the responsibility lies with each one of us to leave a mark and to ensure that we adopt at least one such practice that will stick with us throughout that will make a difference. It could be something as small as letting someone cross before we want to pass through. Maybe leaving just 5 minutes before time to allow any unforeseen situations. Maybe just not texting or talking while driving. Our choices are endless. But we have to see the benefit of it, the long term benefit…and adopt a practice. 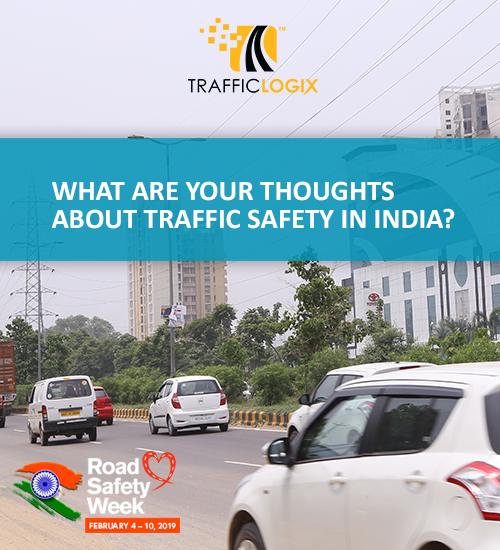 Hoping to garner all the buzz and excitement from this road safety week before it fizzles out, we invite you to step-up and share your experiences, thoughts, suggestions and make a beeline for the pledge to drive safe ! Get your thinking hats on, get creative, do what you can to make a difference out there, leave a mark!! Inviting photographs, articles, slogans that would enlighten us and get us thinking for one who knows what experience could aware or motivate whom. Here, Mahatma Gandhi is telling us that personal and social transformation go hand in hand, but clearly there is no suggestion in his words that personal transformation is enough! This ethos resonates as much in today’s times as it did in that era and we see it reflecting in the thoughts and words of the people who express their opinions in the following video, regardless of their age group, they all feel we need to do, something to change the state of affairs in our country where as Road Safety is concerned. In addition, not only do they speak of what the law or government could or should do, they also are candid enough to accept that we need to mend our ways as well and change our mindset. Click and listen to the voice of India gearing up for the changing times ahead. It is encouraging to see the society in general accept the fact that ROAD SAFETY is the need of the hour. We spoke to common man on road and took their ideas, suggestions and working towards them. The fact that these concerns and solutions are raised by them, gives us even more reason to believe that the change in mindset is slow but surely happening and is here to stay. Each one of us taking the onus to change even one bit about our Road Safety habits and adhere to defined speed limits, will surely bring about a change in the current scenario. These are a few people among us all who realize that awareness and enforcement are a must have for the Indian traffic conditions. The revolution to have safer roads and calm traffic has started and is here to stay. hearing it from the public is a proof to it. Watch the video to know more what is the public opinion. It is always said the elders in our society are the guiding beacons in our lives and this holds true even more in the traditional Indian society. It was heartwarming to see that even they are now in favor of modern traffic calming technology being implemented to mitigate the risks and fatalities. Anything that could save even one life. Watch the video to see how they are now supporting the implementation of speed cameras and radars everywhere. ﻿ Some cities have already adopted these forms of road safety devices, and it won’t be too late for the rest of India to become smart cities. With such changing thoughts, India will not be too far behind in matching footsteps with the global standards of Road Safety.